Cleaning out the files a bit and came across these pictures from October. We saw these geese down at the Duke Gardens in Durham, NC while visiting. I had never seen this species before and finally got around to pulling out the field guide for the ID. 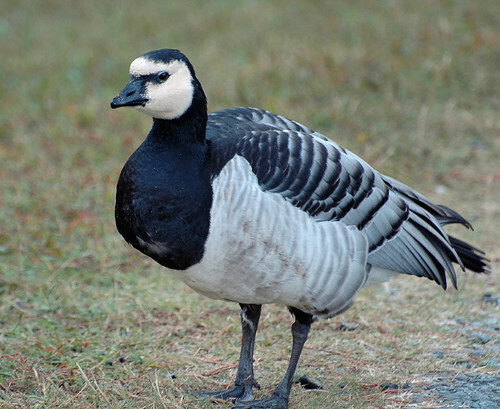 Much smaller and stouter than a typical Canada goose, the barnacle goose is native to Greenland. Vagrants are occasionally reported, though these birds were captive. This entry was posted on 5 January 2011 by patacoate. 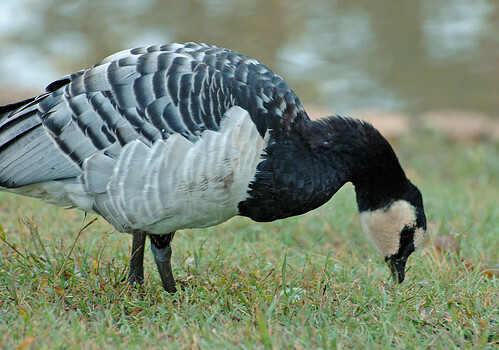 It was filed under iPhone and was tagged with Barnacle Goose.